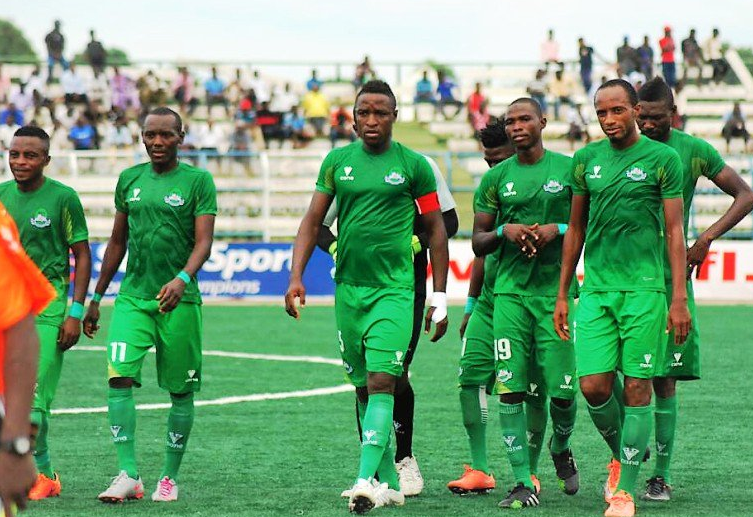 The management of Plateau United Football Club of Jos has placed its players on the no work no pay rule after the team suffered their first defeat at home in three years in the Nigeria Professional Football League. Aside from the no work no pay rule, the players and technical crew will be placed on half salaries until the fortunes of the club improve. General Manager of the Club, Pius Henwan who made the management position known to the team, said the decision became necessary in view of the manner of the home loss on Match Day 10 against visiting side Kada City which is unacceptable to the government and people of Plateau State. Henwan who expressed displeasure with the lacklustre performance of the team during the midweek tie noted that the measures will remain until the team gets the three points they lost at home from an away game. He further explained that for management to take them seriously, they must win their next match against Abia Warriors in Umuahia or at least a draw in order to recoup the lost points. Having worked so hard to ensure the prompt payment of their salaries and other entitlements, the state government who are sole financiers of the team and the people of Plateau State deserve more than what they are getting from the team. He noted that management has concluded arrangement to drop unproductive players who have not exhibited professionalism, commitment and hard work to the cause of the team at the end of the first round. The General Manager who was addressed the players at their New Jos Stadium training ground stated that they must collectively to achieve the goals and objectives set up for the team at the start of the season which is to pick s continental ticket. While lamenting the lack of commitment and zeal displayed during the defeat to Kada City stars of Kaduna which further drifted the team deep into relegation waters. The General Manager challenged them to brace up for the huge challenge ahead and restore the team to where it belongs. Wednesday’s defeat, which was the first for the team since their return to the top flight of Nigeria football over three years ago, has put the team in an unfamiliar position on the NPFL Group B table. It would be recalled that Plateau United was banished from the New Jos Stadium after their fans attacked centre referee, Sam Agba following the team,s goalless draw against visiting Ifeanyi Uba of Nnewi in a matchday one fixture last month.